It happens in the blink of an eye. Someone is injured, seriously – maybe permanently – and their lives, and the lives of their loved ones, are forever changed. Personal injuries happen in minutes; their impact lasts for decades. Personal injuries happen every day, at home, on the road, and in the workplace. Accidents happen, of course. Sometimes, however, it’s the intentional conduct of a person or a company that causes serious personal injuries to an unsuspecting victim. 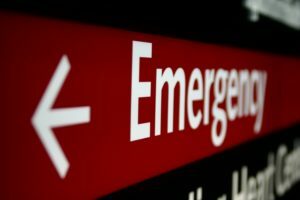 Motor vehicle accidents – car crashes, motorcycle accidents, even bicycle accidents – are the cause of a great many personal injuries in this country. However, on-the-job accidents cause a high percentage of personal injuries, as well. Personal injuries happen when people are just having fun: slip and fall injuries happen while shopping, and severe injuries notoriously occur during sporting events. When personal injuries are caused by intentional wrongdoing, the law is strict to protect the victim. Driving drunk and injuring someone results in civil lawsuits and criminal charges, for example. Failing to properly maintain premises makes owners, landlords, and managers extremely liable for any personal injuries that occur from their failure. The law protects personal injury victims (and their families) when the personal injury isn’t their fault. Louisiana law requires that personal injury victims receive money to cover their medical expenses, including doctors’ bills, hospital charges, drug costs, and nursing home fees, as well as their lost wages and future lost earnings. Pain and suffering awards are also available, as well as damages for the losses incurred by spouses and children. And, if the personal injury happened because of someone’s intentional bad conduct, then compensatory, or punishment, damages can be given to the victim in any amount the jury sees fit. Personal injury victims have a set amount of time under state and federal law to file their personal injury claims. Understandably, everyone’s focus has to be on the medical and physical needs of the victim and his family. However, their legal needs can be lost if they are not properly presented within the legal deadlines. If you or a loved one has suffered a serious personal injury, you have the legal privilege of filing a personal injury or wrongful death lawsuit. Often, you will face negotiations with insurance company representatives seeking to settle your claims outside of the courtroom. 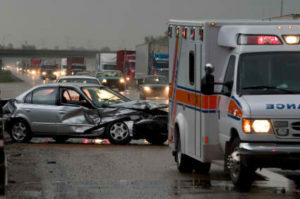 Personal injury victims and their families must decide on whether to settle, and when to fight. The Weiser Law Firm has experience in handling a range of these personal injury cases. The Weiser Law Firm negotiates with insurance company representatives to maximize the settlement amount for you and your family. Weiser Law Firm’s skill involves not only knowing the spectrum of damages available to you, but the machinations that insurance companies can go through to try and keep those numbers low. The Weiser Law Firm also knows when it’s time to fight in the courtroom. Sometimes, the only avenue to getting valid personal injuries assessed is through filing a lawsuit. The Weiser Law Firm will let you know when trial, and not settlement, is your best option. The consultation is always free and we don’t get paid until we recover damages for you. Please call us at (504) 358-CARE to schedule your free personal injury consultation with an experienced personal injury attorney. The Weiser Law Firm is ready to help you and your family – and we’re only a phone call away.